The Travelin’ McCourys are excited to announce their next round of the wildly popular touring festival aptly named The Bluegrass Ball. The Bluegrass Ball held their inaugural event just over 2 years ago in the Midwest, so it seems appropriate that the latest 3 day run would return to its Midwestern roots. For all 3 shows Bill Nershi of Stringcheese Incident will join The Travelin’ McCourys on guitar and each city will be joined by some of the hottest regional pickers. The Bluegrass Ball was born out of the spirit of bluegrass festivals – the special memories made of impromptu jams and unscheduled collaborations that leave you with a smile on your face and awe in your ears. Del and the Boys are throwing down in their hometown of Nashville with good friend and musical chameleon Keller Williams to send out 2012 with a good ‘ol hoedown. 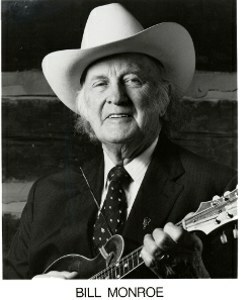 For 50 years, Del has been a staple of the bluegrass music scene, bringing his sons Ronnie and Rob into the fold in the 80’s to keep the family’s musical legacy firmly planted. Recent collaborators on the new album “Pick”, Keller Williams and the Travelin’ McCourys will get things warmed up before the Del McCoury Band takes the stage to finish the year up right. Getcha’ bluegrass stomp on at Marathon Music Works and boogie into 2013 right! 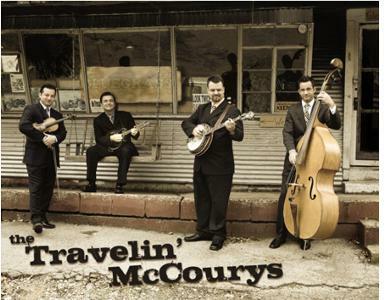 Nashville, TN -- A free concert with bluegrass music supergroup The Travelin’ McCourys & Friends will take place immediately after the Tennessee Titans’ game on Sunday, Sept. 23, 2012 from 4:30-6:00 p.m. at Cumberland Park, 592 South 1st Street in Nashville, in the shadow of the Titans’ stadium on the banks of the Cumberland River.